KANE Richards’ injury time header completed a remarkable second-half comeback for Whites at a bitterly cold Hayes Lane on Saturday. The substitute was quickest to react to Manny Parry’s knock-down after Mitch Pinnock’s floated ball into the area caused a melee in the Bromley box. Skipper Mitch Brundle reduced the arrears with a fine strike after a cool finish from Louis Dennis and a Jack Holland header had the hosts in control before the break. Dover’s defence were tested early on and Connor Essam’s last-ditch tackle denied Dominic Vose a clear sight of goal. 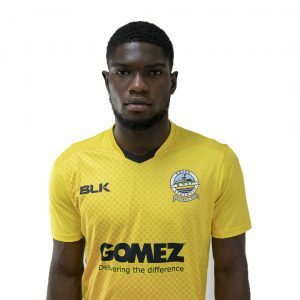 Visiting keeper Mitch Walker was out quickly to gather ahead of the on-rushing Dennis and Kadell Daniel skewed a volley high and wide at the other end after being found by Pinnock’s cross-field pass. 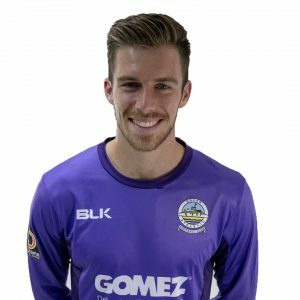 David Gregory denied Brundle from the edge of the box with a fingertip save and Ilesanmi’s surging run ended with the wing back blasting Pinnock’s pass over as Dover grew into the game. But Chris Kinnear’s men were made to pay for their missed chances as the hosts went ahead on 33 minutes. Josh Rees found Dennis in space and the winger made no mistake, slotting in his third goal against Athletic this season. Rees then almost capitalized on Essam’s miscontrol of a long clearance, but Walker was fast once again to smother the ball. At the other end Daniel turned in the box, but blasted his effort past the angle of post and bar. And Dover were punished once more thanks to Holland just before the break. The make-shift striker rose above a static away defence to head in Frankie Raymond’s corner to the back post. 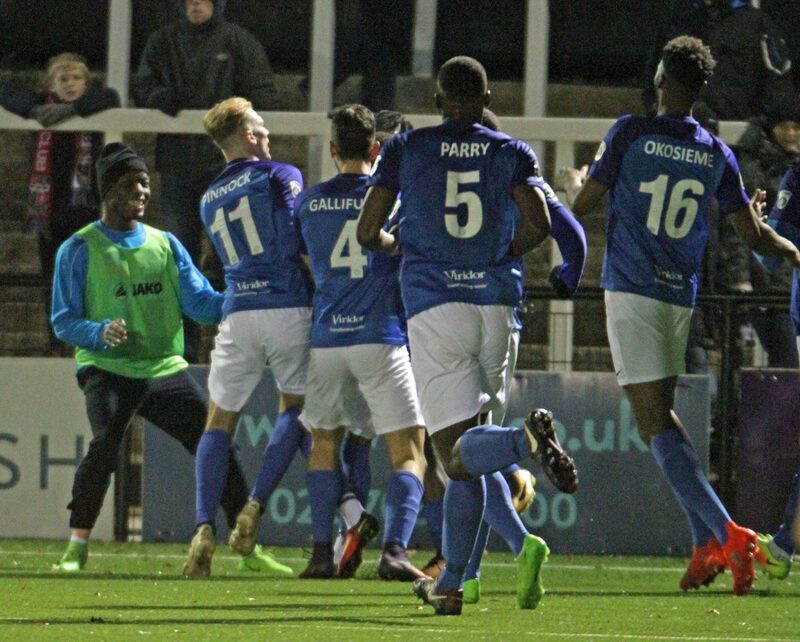 Boss Kinnear made two half-time substitutions, with debutant Ejiro Okosieme and Anthony Jeffrey introduced into the action. And the changes paid dividend as Whites pulled a goal back on 55 minutes. After beating his man for pace, loanee Jeffrey pulled the ball back from the byline for captain captain Brundle to control and sidefoot an unstoppable strike into the top corner – his third of the campaign. And only Manny Parry will know how the scores were not level shortly afterwards. The big defender could only head Giancarlo Gallifuoco’s cross wide from a yard out, much to the disbelief of both the defender and his teammates. Holland almost had his second of the match, but his header from Dennis’ cross struck Parry, allowing Walker to dive onto the rolling ball. Femi Ilesanmi stabbed another Gallifuoco cross wide and Essam headed Pinnock’s set piece straight at home stopper Gregory as the visitors searched for a leveller. And a deserved equaliser duly arrived in stoppage-time courtesy of late substitute Richards. The winger headed in his first league goal for the club from close range earn a point and also prevent a third straight defeat for his side. Earlier, manager Kinnear made one change to the side that started against Fylde. Daniel started in place of James Alabi, who started on the bench. The draw sees Athletic move up one place to fifth in the standings, four points off new leaders Sutton United. Bromley: Gregory, Rees, Holland (c), Raymond, Dennis, Wynter, D.Johnson, Sterling, Wanadio (Sutherland 73), R.Johnson, Vose (Williams 61). Dover: Walker, Gallifuoco, Essam, Parry, Fazakerley (Okosieme 46), Brundle (c) Nortey (Jeffrey 46), Pinnock, Bird, Daniel (Richards 83). Subs not used: Alabi, Okosieme.